Welcome to Tony Grant Outdoors! Tony Grant has been chasing muskies for nearly 20 years. As his career started on Kentucky’s Cave Run Lake he has now expanded his guiding to the waters of Wisconsin and Minnesota during the southern muskies dangerously hot summer water temps. He spends nearly 275 days on the water and gives dozens of enlightening seminars each year. Tony is a 11 time PMTT Ranger Boats Championship qualifier most ever by a PMTT competitor; he has numerous top ten finishes and a 2002 Mercury Marine Eagle River Summer Challenge and 2009 St Croix River Musky Hunter Magazine Fall Meltdown First Place victories to his credit while being a tour competitor since the trails existence in 1999. He took First Place in 2002 and 2008 Kentucky's Cabin Fever Challenge at Green River Lake. In 2008 with partner Dave Schultz took First Place in the IMTT's Spring Classic. Tony has ended in the top 10 four times for the PMTT's Team of the Year award. He has had numerous educational articles published in Mid West Outdoors, Outdoor Notebook, The Southern Sporting Journal and is a contributing writer for Musky Hunter Magazine. In his travels across the musky range he gives dozens of entertaining & educational seminars each year. 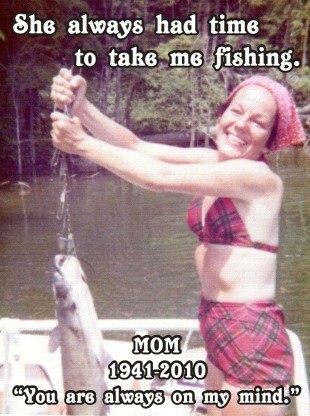 Tony's biggest hero is his mother Sharlin, for as far back as he can remember they had many great memories of fishing adventures they took together from farm ponds to pay lakes and on to the big blue ocean. She was a very special part of his life and will be forever be remembered as the "Worlds Greatest Mom". Mountain Muskie Lodge is Tony’s home base where he plays host to hundreds of fisherman searching for a Kentucky musky each spring and fall. Visit Tony’s other sites www.kymuskie.com & www.muskiesupnorth.com! 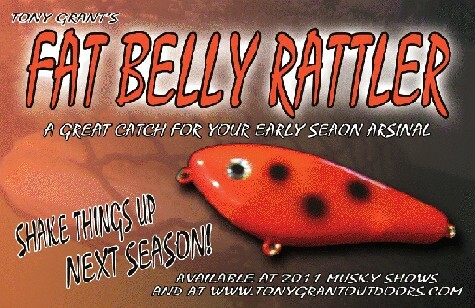 Tony Grant Outdoors muskie fishing guide trips in Kentucky, Wisconsin, Canada and musky fishing seminars and schools. Learn to muskie fish with Tony Grant, musky fishing seminar speaker, musky educator and professional musky guide, Tony Grant Outdoors. Tony Grant speaks at all muskie shows in helping folks how to catch muskie and provides musky tips. Tony has over 20 years experience teaching people how to muskie fish in Wisconsin, Illinois and Minnesota. Tony Grant owns and operates muskyroadrules.com a musky teaching program, work shop, on the water teaching clinic in helping guests learn how to catch musky and tiger muskies. Tony Grant also muskie guides professionally in Kentucky on Cave Run, Vilas County Northern Wisconsin and North Central Minnesota at kymuskie.com, muskieupnorth.com.